Paris (AFP) - France has leapfrogged the United States and Britain as the world's top so-called soft power, helped by the election of President Emmanuel Macron, a study of countries' non-military global influence showed Tuesday. While France has risen, Donald Trump's ascent to the White House has seen the US slip from the top last year to third place in the Soft Power 30 study, compiled by PR company Portland Communications and the University of Southern California. Soft power measures a country's ability to secure international alliances and influence others through its attraction and appeal. The study uses polling in 25 countries and digital data to measure a country's influence. It takes into account factors such as the ability of countries to attract foreign students to its universities and tourists, as well as its cultural allure. France's rapid rise from fifth place last year, when it was in the doldrums under unpopular ex-president Francois Hollande, is partly due to the centrist Macron's election in May. But the country's diplomatic reach also played a key role. "France's greatest strength lies in its vast diplomatic network," the study says. "It is unrivalled in terms of membership to multilateral and international organisations, as well as in its diplomatic cultural missions. 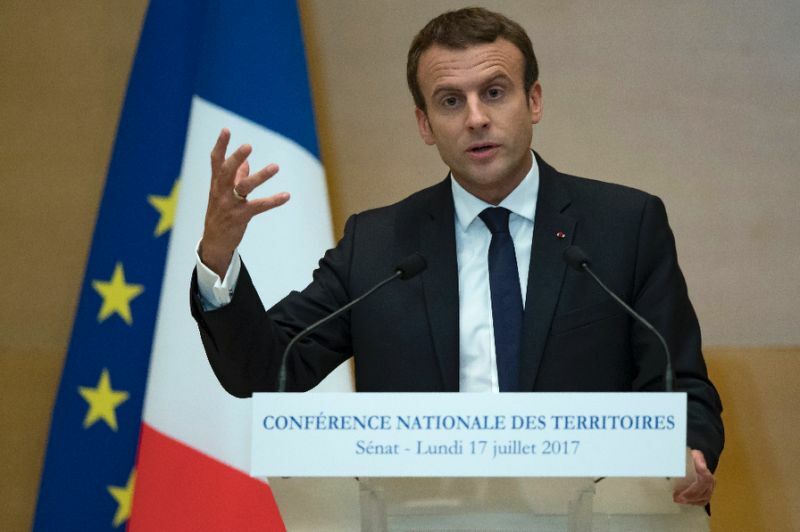 "With Macron having long campaigned for cooperation and integration, it is not unreasonable to expect France’s global engagement and influence to grow." France also remains the world's top tourist destination, the report said. The terror attacks that have cost the lives of more than 230 people since 2015 "have not stopped tourists flocking to France and enjoying its rich cultural offering, cuisine, and lifestyle," the report says. The survey attributes the US decline -- it has slipped from first last year to third -- to a deterioration of "global sentiment" as a result of Trump's "America First" policy. The US was still "unrivalled" in higher education, technological innovation and the production of film, music and TV, it pointed out. Meanwhile, the report's authors warn that Britain's fall -- it was top of the rankings last year -- "should serve as a warning of what is likely to come for post-Brexit British influence". With negotiations under way for Britain to leave the European Union within two years, the report says: "It is hard to imagine the direction of travel for British soft power... will be upwards in the future."